I own a small animal general practice but I am also a pet diabetes educator. I’ve been writing articles about diabetic pet management and more for ADW Diabetes since 2011. I enjoy taking a subject that many folks find overwhelming and making it simple. Yes, I know that deer in the headlights look clients have when we tell them they will be poking Fluffy with needles and checking the blood glucose at home! You will note that when I give advice it is usually generalized. It would be wholly inappropriate for me to give specific advice to anyone if I hadn’t personally examined the pet. I hope you see my articles as a starting point for a discussion with your family veterinarian. And for folks who do email me, I often start by sending them my “Back to Basics” articles. Nonetheless, in my interactions with readers, I do run across some habits that make it difficult to regulate diabetes. 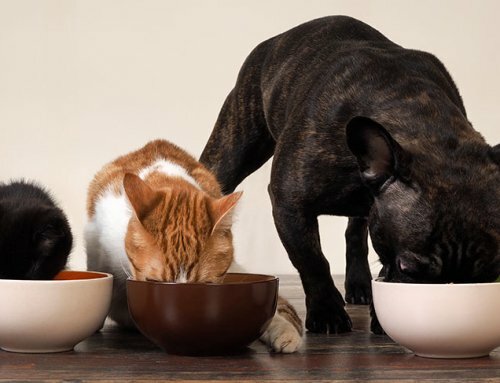 Avoid mid-meal snacks unless you believe your pet’s blood glucose is low. The majority of calories should be fed at the time of insulin injections, about every 12 hours. Snacks between insulin injections typically cause unwanted increases in blood glucose levels. Own a pet blood glucose meter and do blood glucose curves on a regular basis. Even if you think your pet is well-regulated, run a blood glucose curve every 3 months or so. It is better to tweak the insulin dose when a pet is doing well overall than to wait until your pet is poorly regulated and potentially have a urinary tract infection or worse, ketoacidosis. If we ever do tweak the dosage, you should do another curve 5 to 7 days later to see how the new dose affects your pet. 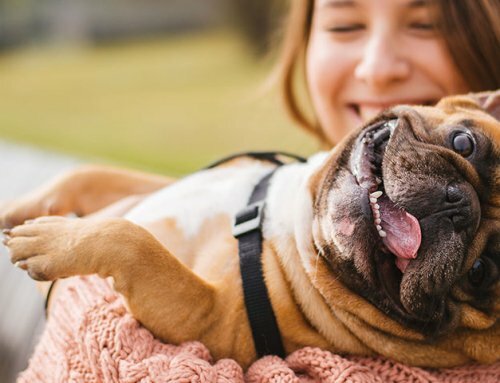 Regardless of how often you check your pet’s blood glucose, a curve tells us how long the insulin lasts for your particular pet and how low the blood glucose goes at that dosage. Curves are what we use to evaluate dosing. Curves at home are typically more accurate than those at the clinic as there is no stress hyperglycemia at home. Additionally, curves are also more affordable when done at home compared to having your veterinarian run the curve at the clinic. Besides, your pet appreciates not having to spend the day at the vet clinic. Try to give injections every 12 hours. Some folks give their pet’s insulin and food when the humans in the family eat. Seriously, I can’t tell you the times folks have written me saying they give the insulin and meal at 8AM and again at 5PM or some other odd schedule—that is NOT 12 hours apart. In general, diabetic pets do best when fed equally portioned meals and equal insulin doses every 12 hours. This equal dosing business doesn’t include cat owners who strive for tight diabetic control. These folks might adjust the dosage at each meal, but they still strive for meals 12 hours apart. Obviously, sometimes life gets in the way of your best laid plans. You might get stuck in a long meeting or in rush hour traffic such that you can’t get home for Fluffy’s injection. Still, strive for injections every 12 hours. Have a neighbor or friend on call for such unforeseen circumstances. It takes a village to regulate a diabetic pet. Have regular check-ups with the vet to catch potential causes of insulin resistance early. 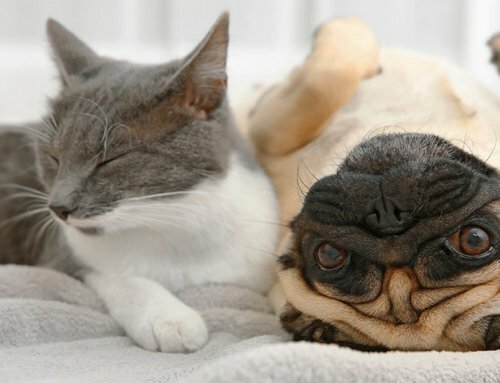 Some of the most common causes of insulin resistance for dogs and cats include dental disease, urinary tract infections and obesity. You and your vet are a team. You can show your vet Fluffy’s blood glucose logbook and have a thorough physical examination. When you have a strong relationship with your family veterinarian you can bet your vet is more likely to give you a personal phone number for “after hours” situations. I give all of my diabetic pet clients at my vet clinic my cell phone number. I understand most veterinarians don’t do this except for their very favorite clients. Be that spectacular pet owner! Don’t run out of your pet’s food. Seriously, I own a vet clinic and I’ll admit I’ve gotten home and realized I forgot to bring home pet food. Many diabetics are on prescription diets, usually low carb diets for cats and complex carb diets for dogs. A diet change can easily affect your pet’s blood glucose level and insulin requirement. Earlier I mentioned that if you ever adjust the insulin dosage you should run another blood glucose curve in 5 to 7 days. The same is true of a diet change! If you change your pet’s diet I want you to run a blood glucose curve in 5 to 7 days. I’ve seen dramatic changes in glucose levels from diet changes, particularly when diabetic cat owners take away kibble and go to canned low carb diets. Dr. Joi Sutton: Thank you so much for your articles. They are extremely educational and good source of info for us. In the past I had questions, and you answered. I am diabetic my cat is diabetic for 1o years. Even though my wife is a Physician Assistant for Internal Medicine she finds your articles very helpful guidance. My cat, BROC, is 15 years old and he is very grateful to you. My hat is off to you. Thank you again. Very good points to make. Only problem I have is trying to feed cats only 2x a day. I have 3, all eat canned food only, since one is diabetic. They only eat small amounts each time, so I need to feed multiple times a day. The diabetic has good bg, checked every day. All of my cats have been grazers, different from dogs. It’s a pain to feed this way, but only other way I can see Is to leave dry food out, which is no-no for diabetic. Thanks for your articles, I’ve learned lots from them. How refreshing to see advice from someone skilled in pet diabetes! When our first rescue dog developed diabetes we weren’t totally lost since I’ve been insulin dependent for decades, but we of course had to learn a bit about canine diabetes. For example, I thought I could use my meter to test my pet’s blood sugar. Wrong! I bought a canine meter and did a series of tests using the canine meter and two of my human meters, plotted the data and found I could use the reading from my/human meter and multiply by 1.6 to get his canine reading. Very repeatable and human strips, from Walmart for example, are much cheaper. And then our second rescue turned up diabetic! Once we got her regulated we used the same approach in testing her sugar. She passed away last month at age 16, 3 1/2 years after she started on insulin. As a footnote, we on occasion used a few units of Humalog in addition to N when their readings were sky high. (We tested both dogs morning and night and kept a log.) Humalog is a fast acting insulin with onset in 5-10 minutes and a life of 3-4 hours. I’m on H and have been for years but to the inexperienced this must be used with extreme care. It’s not cheap either, ~$100/vial and by prescription only, but in our experience it proved to be a great tool to more quickly treat high sugars…..just like I do on myself! I don’t typically advise folks to add in a second, short acting isnuslin as it can be confusing. One of my clients does just this, but he works from home and his dog is rarely alone. Of course the risk of adding in a 2nd insulin is the potential for hypoglycemia. It sounds as though the rescues landed in just the right home! Good work. I have a small dog that has developed diabetes late in life. She is not overweight. My vet is doing the best she can but seems to be somewhat overwhelmed with her care. I have looked for a vet who specializes or is more familiar with diabetic animals but have not been successful. Can you make any suggestions as to what I should look for when looking for a vet for my diabetic dog, or even recommend someone in the Dallas area? Brandy, Jan has answered your question! Find an internist. And read online. Get educated. Whenever I diagnose a diabetic pet I give the human a copy of my “back to basics” articles and also a copy of the latest 2018 AAHA DIABETES GUIDELINES. This can be found online. Most large cities have an internist at a specialty hospital. Vet schools are another place to find a great vet. Brandy….I live near Tyler but in years past I went to see a specialist in Internal Medicine, particularly dealing with pet diabetes. I don’t remember the particular doctor but the practice is on Trinity Mills, just west of the Parkway. They are a practice of specialists only, including opthamology, dermatology, oncology and orthopedics. You might give them a try…..
Dr. Joi, I have a 14 1/2 yr old Lab/golden retriever. She was diagnosed June 2017. I have been on Novolin N since then. As of today her sugar has never gone below 290. I am always checking her sugar at the slightest sign that her levels might be up. I have had her to the vet and all they keep telling me is that she may be becoming insulin resistant. Casey is 78 lbs & has some neuropathy in hind legs from this according to the vet. Since June 2017 she has went from 15cc to 25cc by the vet. Every time her sugar goes high they would increase it so I have since then increased it slowly to 27. I have told them what I have done which helped a bit from getting her sugar from 350 down to a range of 260-290. They do not give me straight answers. I got a mumble saying that 27cc is a bit high for her body weight. I then told them I can bring it back down to 25 or 26 if I am doing something wrong. No answer… Anyway, she loves life and nothing stops her from doing what she wants whenever she wants. I feed her Purina EN Fiber balance. For other readers I have found a treat for her that is totally AMAZING and has not raised her sugar at all. @http://olddogcookie.com Their treats are a bit pricey but they are made for diabetic dogs and in some dogs it has actually lowered their blood sugars. My question Dr. Joi… If her levels stay around the high 200’s is 27cc too much for me go give her? Can I go to 28? I give insulin 12hrs exact time every day/night and her food is measured. Is there a wrong place to give insulin? could that be the reason? So have you run blood glucose curves to see just how low her blood glucose goes after a dose? The numbers you mention… Are those the blood glucose level just before an injection or are those the lowest numbers from a blood glucose curve? If she is having neuropathy she clearly isn’t under good glucose regulation. 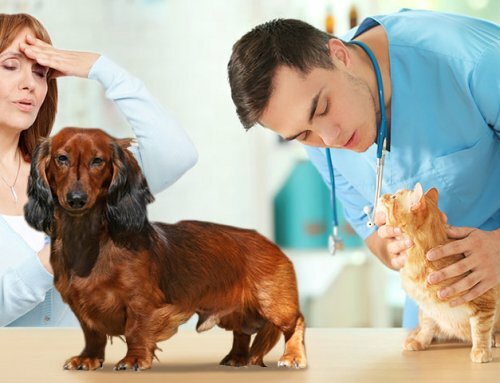 If you feel you aren’t getting answers or are frustrated with your vet, maybe a visit to the local vet internist is in order? A set of fresh eyes may help, particularly the smart fresh eyes of a vet internist. I like to say it took me 8 years of college to put the letters “DVM” behind my name. Internal medicine specialists get to spend 12 years to put “diplomat, ACVIM” behind their names. 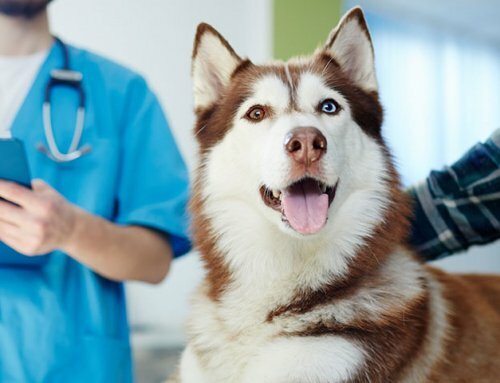 Most large cities have a vet internist—or you might be near a vet school perhaps. After a year of no success with NPH you might consider changing to levemir insulin. Always start low and sneak up on the dosage when you start an insulin or change to another insulin. Levemir is a very potent insulin for dogs, so the dosage is typically about 1/4 of the dose of NPH. I do hope you are home testing and doing blood glucose curves. Do chat with your vet about a referral to a vet internist. I am so excited you responded to me! Thank you so much! And.. Oops. I’m embarrassed! Yes I did mean units, not cc, my mistake. I left out other important information for you, again my apology. In my question I forgot to tell you that I curve Casey once a month. I never thought about vet schools and having a fresh set of eyes looking at her. I worry every day from the minute I wake up to the minute I go to bed that she is going to be ok or if anything is wrong that I didn’t see. I will also ask them about an insulin change. Her next scheduled curve is July 27. I also do periodic tests in between when I see she looks a bit off. Her last 3 checks on her off days were 7/14 “263” 6pm before eve meal, 7/16 “292” 10am 4 hrs after meal, 7/21 “404” 8pm 2 hrs after eve meal. she gets her insulin immediately after meals. Her levels are so erratic. Every time she has her vet visit I have her curves written out in hand for the Dr. so they know what they are dealing with on that day and am definitely going to talk about talking with a vet internist. Our 14-year toy poodle is new to diabetes plus she has a kidney issue (BUN level is 45 down from 49). It has been advised to feed her a special diet such as Royal Canin for Renal Support or Hills Prescription K/D. She is super difficult at wanting to eat these foods. We have tried mixing it in with her normal meal (twice a day), which is a high quality dog food. Sometimes she eats it and sometimes we need to force feed since we want her to have food in her belly in order to give insulin. We get comments that she will eat if she is hungry enough. Not true with this munchkin. She will try and bury her food no matter how hungry she is and with diabetes, we can’t afford to not have her eat. Any thoughts on her dietary issues? One of the more important qualities of a “renal diet” is phosphorus restriction. 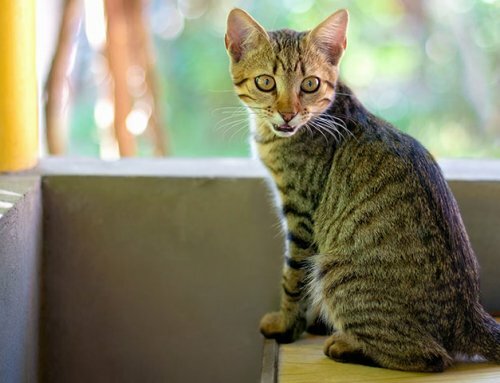 If she refuses the renal diet, you might need to add a phosphorus binder with the food such as epakitin (which most pets accept as it has minimal taste). Phosphorus Binder’s are given with food, or in the case of epakitin is sprinkled onto the food. Many phosphorus binders of the past taste icky. Some of the renal diets are fatty, so that’s a concern for a diabetic if there is a history of pancreatitis. Chat with your vet about other options. If she won’t eat the diet, try a quality low fat and high fiber diet with a phosphorus binder. Creatinine and sdma are more reflective of renal function than bun. Really, they are all kidney values, but bun is more affected by dehydration than sdma and creatinine. Thanks so much, Dr. Joi. I will definitely look into the Epakitin. We want our little girl to enjoy her senior years and forcing a diet that she won’t eat just seems to go against the quality of life we want to give her. Truly appreciate your comments and especially all the time you give to us pet parents.